TONIGHT!!! 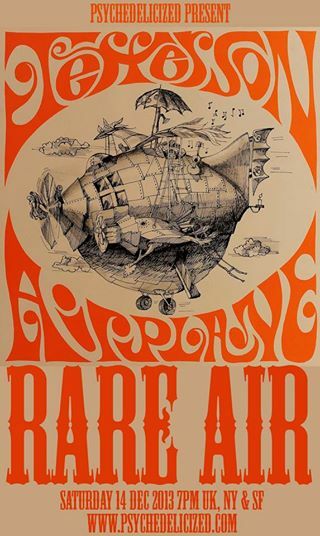 A Psychedelicized Radio special, courtesy of Rusty, we present an hour of rare Jefferson Airplane live tracks from 1966 to 1972, very cool! Tune in and take off with Psychedelicized and the Jefferson Airplane tonight at 7pm UK, NY and SF!